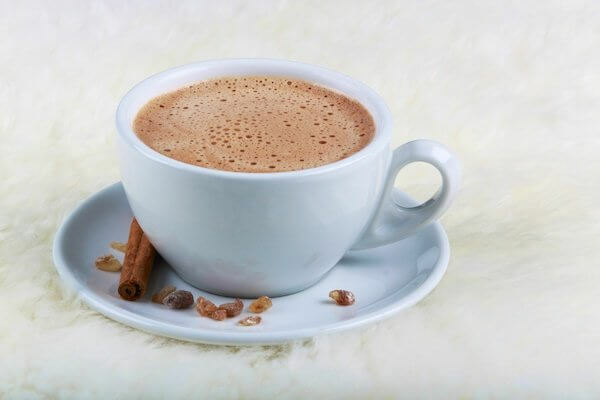 Just like the Vitamix can make hot soups, it can make a delicious hot chocolate with virtually no work. And on a rainy Saturday, it’s exactly what I need. The result is a perfectly smooth, slightly frothy hot chocolate. Serves 2.